Domestic air passenger growth has lost the high double-digit momentum with a growth of 5.62 percent in February--which is a 53-month low--with the airlines flying 11.34 million passengers compared to 10.74 million, according to the DGCA data released Wednesday. The last time such a low growth was reported in July 2014 when incremental traffic grew 7.19 percent, while in August 2014 the same was at 8 percent. Since September 2014 the market has been clipping at double-digits which lasted till December 2018. Come January 2019, the growth rate slipped to 9.1 percent. Significantly, almost all major carriers operated a truncated schedule, mostly led by the crippled Jet Airways and budget carrier Indigo which had to cancel hundreds of flights in the month due to a host of reasons. These include cash-crunch, pilots shortages, NOTAMs (notice to airmen) at various airports and a reduced capacity due to grounding of some planes, among others. Indigo retained its top position with a market share of 43.4 percent, carrying 4.93 million passengers in February, while the cash-strapped Jet along with its subsidiary Jetlite slipped to a distant fourth position carrying 1.28 million passengers and had a combined market share of 11.4 percent. Both Spicejet and national carrier Air India flew more passengers than Jet at 1.55 million and 1.45 million, and had market share of 13.7 percent and 12.8 percent, respectively. Another budget carrier Goair, which garnered 9 percent market share with 1.02 million passengers, continued to outperform on punctuality from the four major airports of Delhi, Mumbai, Hyderabad and Bengaluru, recording an average 86.3 percent followed by Vistara at 81.6 percent in the month. However, Indigo, slipped to fifth position in OTP (on-time performance) at 76.2 percent during the month, while Spicejet's retained its leadership in average seat occupancy at 94 percent. 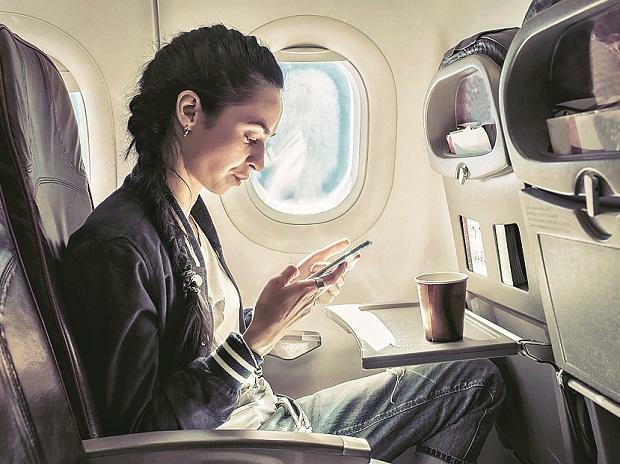 The passenger load factor or seat occupancy has shown increasing trend primarily due to airlines offering promotional fares resulting in increased demand, DGCA said. Air India topped the list of flight cancellations with 8.15 percent, followed by AirAsia India and Jet at 2.4, and 2.31 percent, respectively.